skills of Wing Chun Kung Fu, a smaller and weaker person can easily overcome a larger strong opponent. With its focus on technique rather than force, it is suitable for both men and women, young and old, and for those of all levels of physical fitness. Grandmaster Ip Chun is regarded as the world's leading authority on Wing Chun. Bruce Lee--Wing Chun's most famous student--was taught by Ip Chun's father, Grandmaster Ip Man. Michael Ise is also a highly respected Qigong and martial arts master. Together they demonstrate that first form of Wing Chun (Siu Lim Tao) and show how it can be used for self-denence. 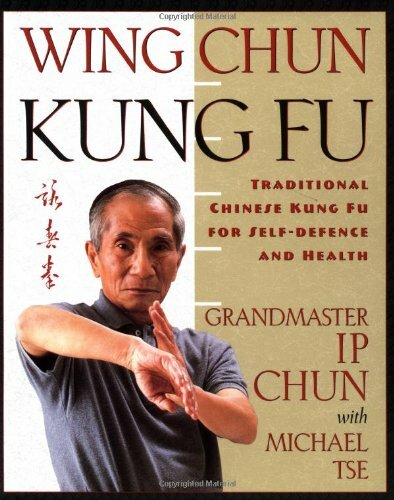 They also outline the history and the art of Wing Chun and discuss its many other benefits, which includeIncreased Energy and VitalityGreater Confidence and Inner StrengthAn Understanding of the Skills and Benefits of MeditationWith expert instruction and more than 100 step-by-step photographs, Wing Chun Kung Fu makes it easy to master the power and grace of this ancient martial art.